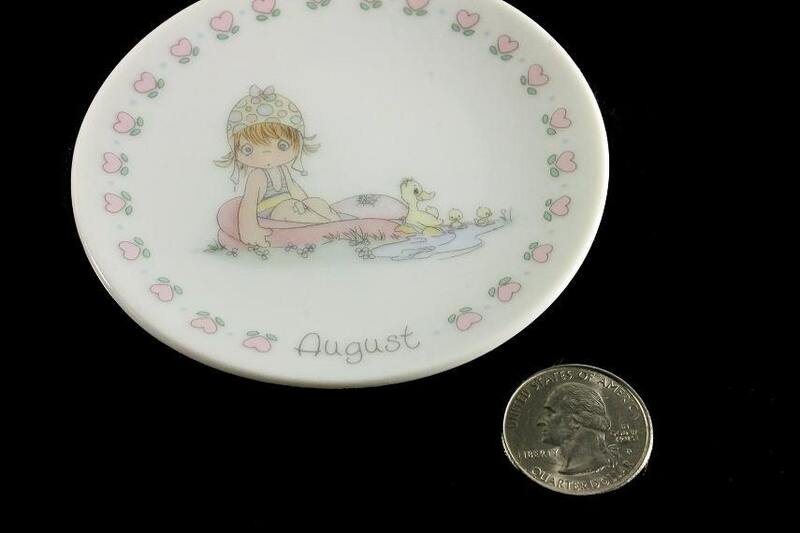 This is a Precious Moments mini plate by Enesco. 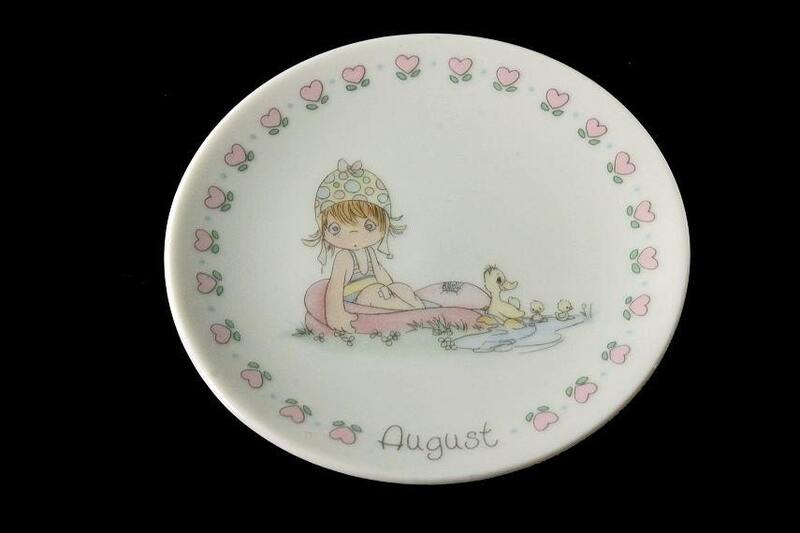 The plate is for August and it has a girl in her bathing cap sitting in a pool and a family of ducks at her feet. 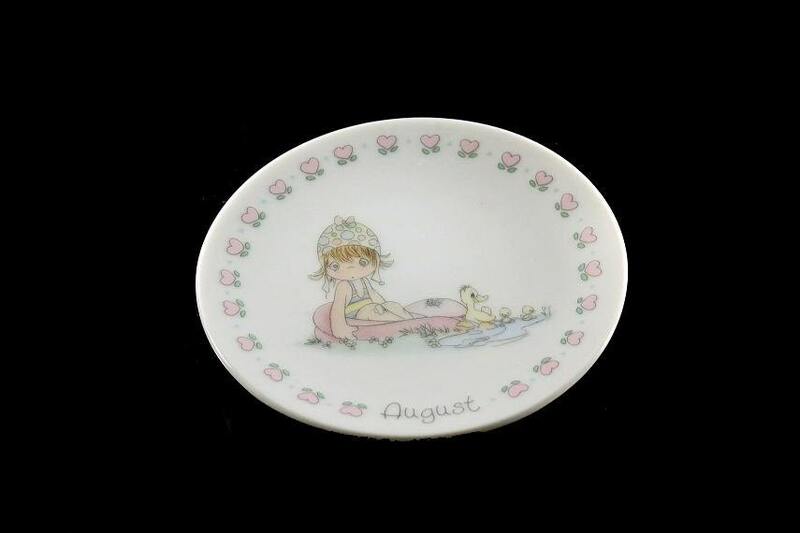 Such a lovely whimsical plate and a perfect gift for someone with a August birthday. 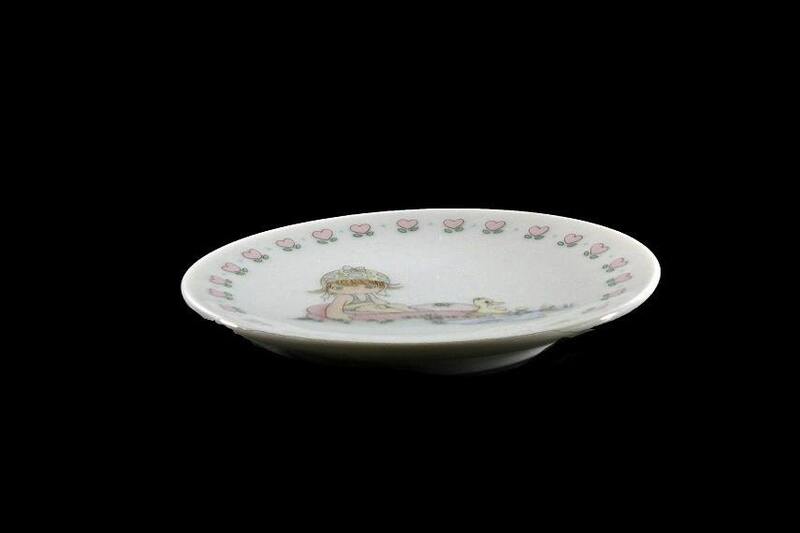 This vintage mini plate is in excellent condition. There are no chips, cracks, or crazing. 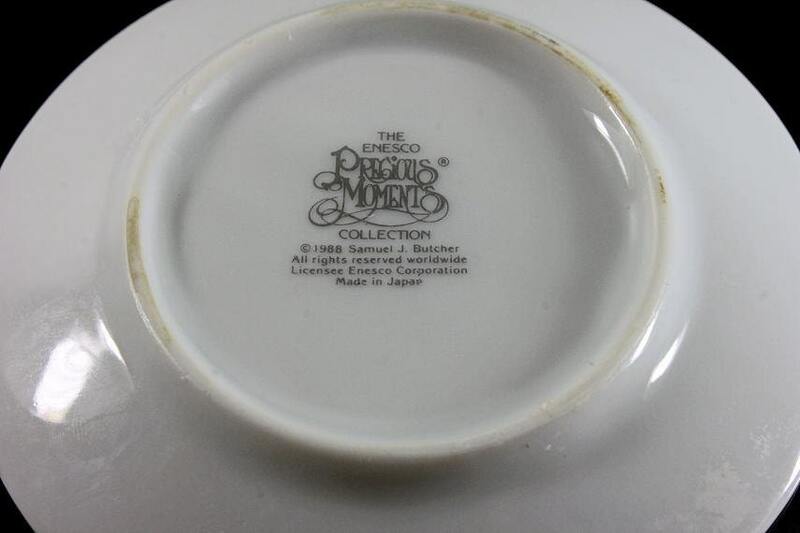 This would be perfect for the plate collector.